According to the Audubon bird site, the Mississippi kite "breeds from Arizona and southern Great Plains east to Carolinas and south to Gulf Coast. Its range has expanded somewhat in recent years; increasingly wanders north to southern New England in spring. Winters in tropics." 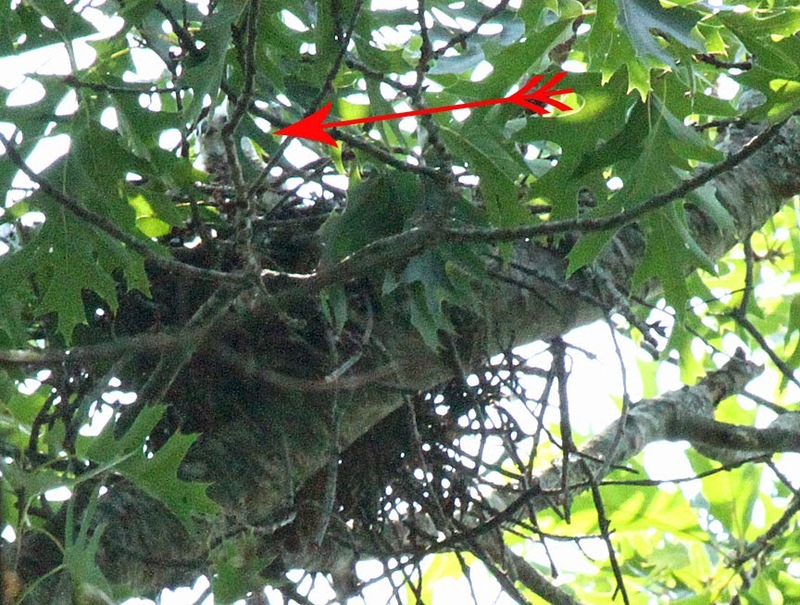 A nesting pair was discovered in Newmarket, New Hampshire in 2008, it was New England's first record of a nesting pair! They have come back every year since. Gerry and I stopped on Gonet Drive to see an adult soaring around above the tree tops. We located the nest where a white, fuzzy chick was sticking his/her head up. This species has steadily expanded its breeding range over the past century into new regions around the margins of its historical range, as it existed at the time of Audubon and Wilson (Bolen and Flores 1989, 1993), and wanderers now occur almost annually in most of the eastern United States. 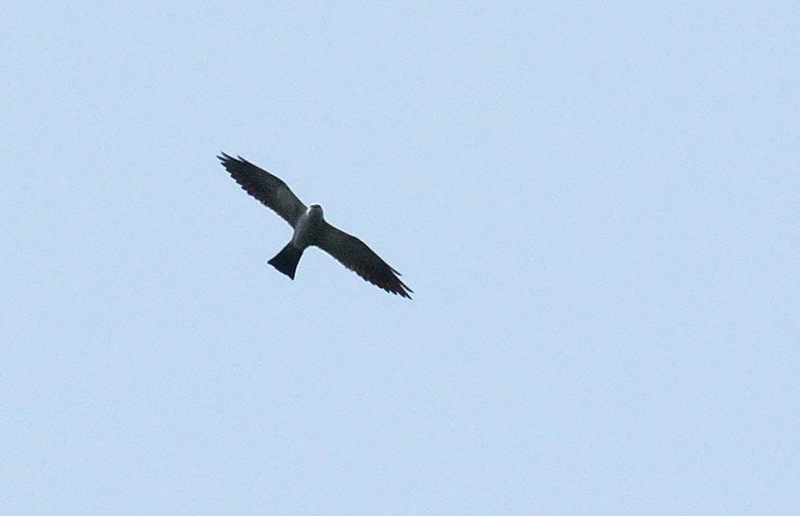 The first nesting record of Mississippi Kites for Ohio was documented in 2007 (McCormac and Boone 2008), and, remarkably, the first breeding records for both New Hampshire and Connecticut were reported in 2008 (Donsker 2008). By 2010, Mississippi Kites were found nesting in New Hampshire, Connecticut and (successfully) in Rhode Island (Petersen 2011). The reasons for this sudden range expansion are not well understood. The Mississippi Kite is categorized as a species of "Least Concern" by BirdLife International. Wow! I did not know this!